e is a gifted evangelist, a veteran pastor, a veritable teacher, renowned prophet with unmistakable marks of apostleship. He is a humble servant of God, has distinguished himself as a leading personality in the Pentecostal world. Dr. Guti holds a Bachelor of Christian education and Doctorate from Northgate Graduate School, from Zoe College USA. He also has the following qualifications: BA; MA; D.D; D Min and PhD in Religion. Dr. Guti, a veteran and pioneer in outstanding areas in Christian education, is the founder and president of the largest and fastest growing church, which has spread to more than 100 nations in 50 years of ministry. On the international arena, Dr. Guti has churches all over Africa, Asia, Australia, America and Europe, and has preached to several universities, bible schools, colleges, and on TV and radio programs. He is the founder of 7 bibles schools in Zimbabwe and Mozambique among others, where he has trained over 5000 pastors from over 100 nations, including Asia, Europe, America, Australia and Africa. He also founded the Forward in Faith orphanage centre, FIF children’s ministry, FIF College and High School Ministry, Gracious Women’s Fellowship international, and alongside with it, Husband Agape International Fellowship. He oversees over 5000 pastors and evangelists worldwide. A great intercessor, a man of love, concern and compassion. 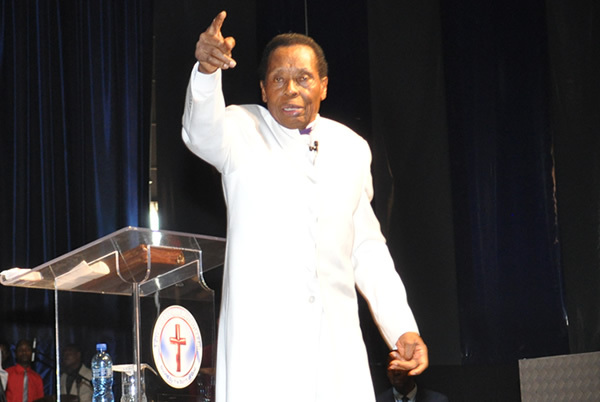 He has authored over 60 books, which include other books about him entitled The African Apostle and the Remained Unspoken of the African Apostle. He is a marriage counselor, a good father and family man, married to Eunor, who works alongside him. She believes in being outstanding for God in the things of God before it is 5 o’clock in the afternoon, time to knock off from office, which is being dismissed from this earthly body. She travels together with her husband, ministering in over 100 nations. 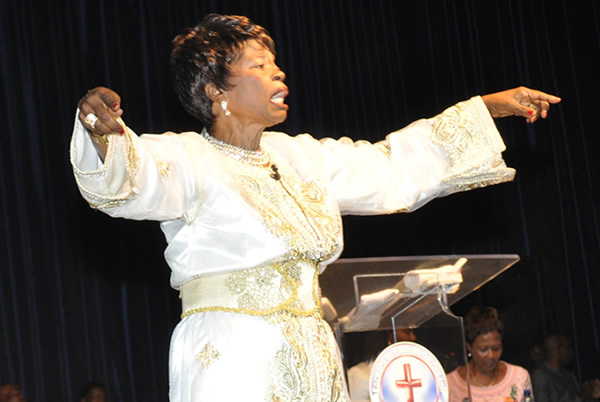 A mother and an inspiration in the ministry, and she has motivated many groups into intercession and spoken in many women conferences and leadership seminars the world over. In 2004, she received Esther’s Leadership Award, from the Third World Leaders Association, presented to her by the Honorable Prime Minister of Bahamas. She headed the Good News Deliverance Explos in 25 stadiums in Zimbabwe, preaching the word of God with prophetic healing ministry, with signs and wonders following. She is a mother of seven, six girls and one son, all in ministry. She has authored three books that is, “Challenge and Counselling of Today’s Youth, A Young Pastor’s Wife in the Ministry and Wise Woman.